The Hawaiian flight is offered in the new Airbus Eco-Star helicopter, a flying machine that’s nearly 25% more spacious than most other tour helicopters. 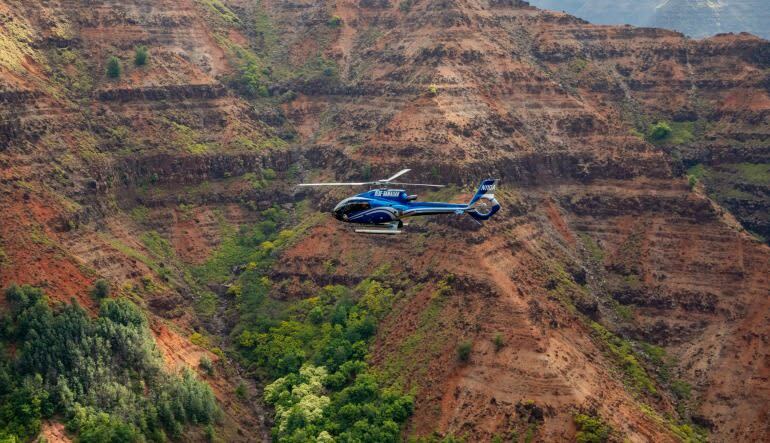 Get comfy in your Eco-Star helicopter as you take off over the Hanapepe Valley. Next up is Mana Waiapuna (AKA Jurassic Park Falls), which are extremely difficult to see outside of a helicopter flight. 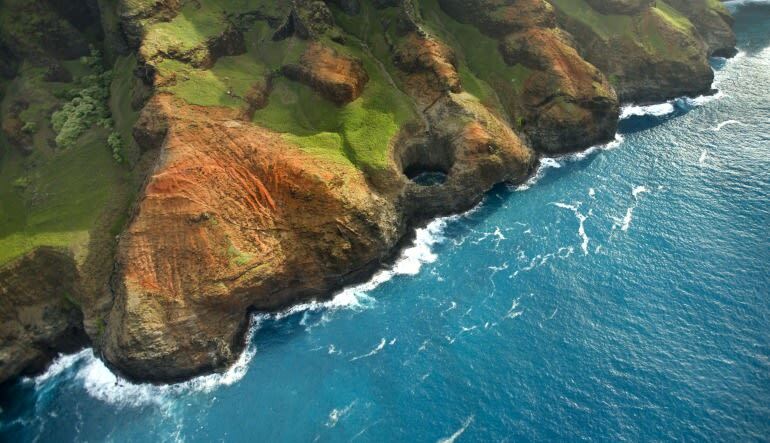 Onward to Olokele Canyon and Waimea Canyon—known to many as the Grand Canyon of the Pacific! 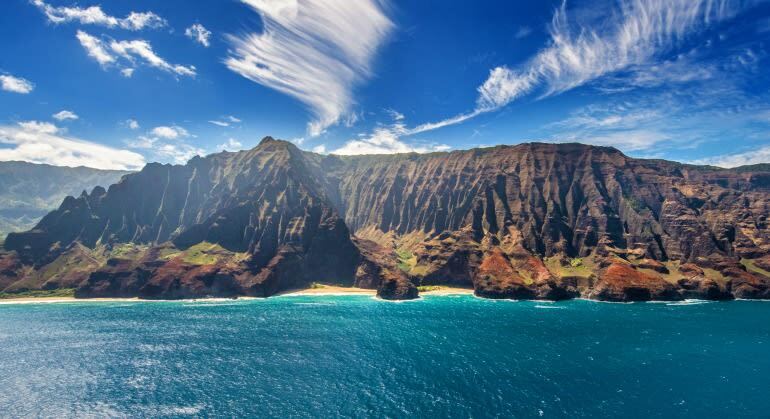 Continue to the Na Pali Coast and the towering Bali Hai Cliffs. If the weather cooperates, you’re in for a special treat—visit Mt. 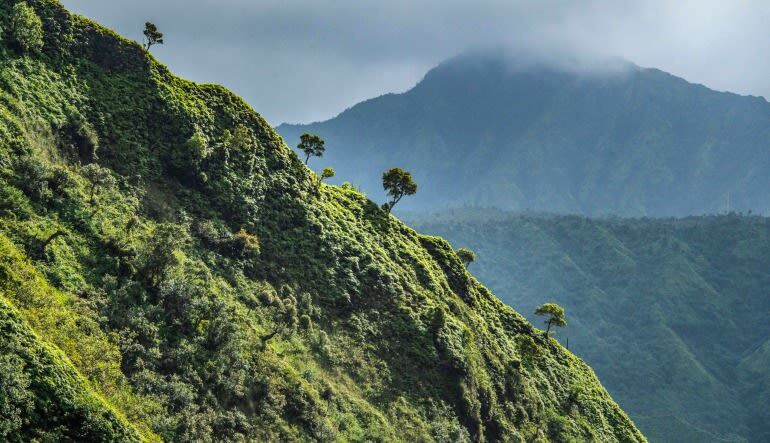 Waialeale, the crater of an ancient volcano with 5,000-foot walls and waterfalls stretching nearly as high! And these points of interest don’t even take into account the endless details tying the landmarks together. Aboard the world-class Eco-Star chopper, you’ll be treated to the best vantage points imaginable!